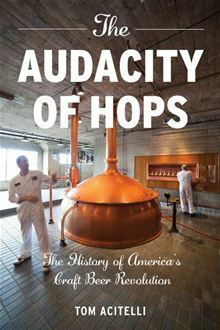 Following a breezy introduction, which signals to the reader that this history was not going to be a dry tutorial but a story framed around the birth and adolescence of craft beer, Acitelli goes to what he believes to be the center of the modern age of independent brewing. 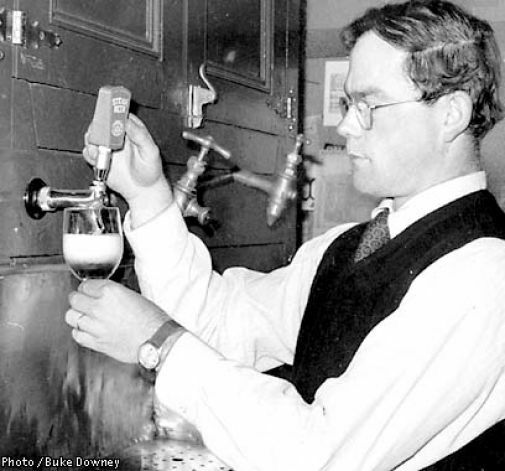 He focuses on Anchor Steam Brewing, regarded among the drinkeratti as the link between the wild west of pre-Prohibition and Samuel Adams prominence. He writes like a novelist, which appeals to me. Like a novelist, Acitelli develops characters the best he can. In this case, the lead character is Fritz Maytag, the grandson of the dishwasher magnate who turned his enjoyment of a pint of beer into a craft brewing legend. Acitelli captures the character by describing what Maytag is not, in the pre-swinging era of 1965. “Fritz Maytag was no beatnik,” he writes, and describes him as a “trim Midwestern transplant with wire-rimmed glasses, close-cropped hair, and pointed eyebrows that gave him the appearance of either perpetual bemusement or skepticism.” That makes me want to know more about the man than all the accolades one could muster. Acitelli’s use of recreated dialogue — which I don’t mind, being a lover of creative nonfiction — lets the plot roll with more depth. He takes he cue from biographers who conjure their subjects along with their times. That said, Acitelli isn’t afraid to drop some stats. For example, he notes that from 1865 to 1914, “America’s domestic commercial production of beer increased sixteenfold, from 3.7 million barrels annually to 59.8 million.” He has us hooked without much commentary when he shows how far U.S. drinkers have come from the boom times to the bust that was Prohibition through the boring 1970s to the reflourishing in the early 1990s. This kind of history was already covered in other books, including Christine Sismondo’s “America Walks into a Bar” and Maureen Ogle’s “Ambitious Brew.” However, Acitelli keeps his history focused on Anchor Steam, which serves almost like a character itself. He takes us through the rotating ownership, devastation by fire, and even a full-on closing in 1959. By focusing on Anchor Steam’s rise from being small and independent, the author cements a theme: craft breweries have always been underdog. As crafts are overcoming giant brand dominance, it’s a romantic genesis to look back upon. For a snapshot of the author, check out this Q&A in Travel & Leisure. This entry was posted in Beer Snob and tagged Christine Sismondo, The Audacity of Hops, Tom Acitelli. Bookmark the permalink. Excellent synopsis of what seems like a fascinating story. I hope by listing this as “Chapter 1” that there will be more of the synopsis to come!